We didn’t reproduce the complete newsletter, which you can view that here, but we did want to highlight a couple of K-12 e-learning items. 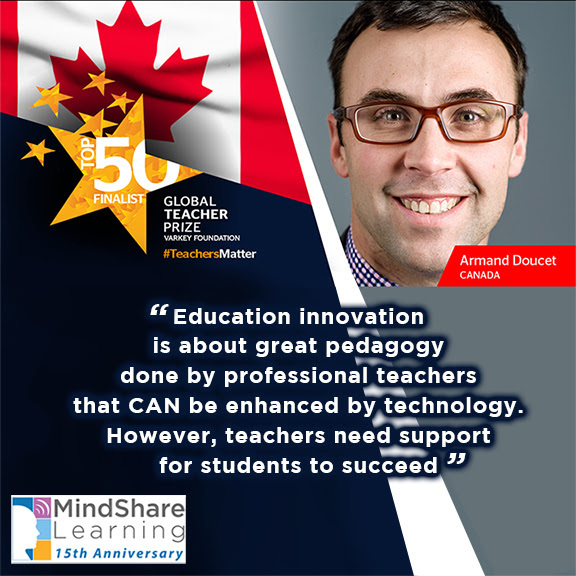 Welcome to This Week in Canadian EdTech Top 10 brought to you by the MindShare Report. Perhaps this week should have been billed, ‘Startup Week’ as I had the good fortunate of being immersed with youthful EdTech startups at Ryerson DMZ exploring U.S. market expansion, followed by the Mississauga Startup Challenge Grand Finale; culminating with my afternoon yesterday at iCube University of Toronto Mississauga, as a member of the advisory board observing some impressive pitches by its members. I was fascinated to see two teams of startups made up of high school students as young as 15 years old! We are definitely living in different times, where our leaders of tomorrow want to make a difference, taking their own initiative exploring ways to make the world a better place. Creativity, I heard on a radio report this morning, is considered to be one of the key skills of the future. I would hypothesis problem solving skills would also rank extremely high on the list. Yet we struggle to help prepare our youth for the jobs of tomorrow in high school as is illuminated by a recent report shared in this issue by People for Education. In one of my sessions this week, Career Counsellors identified their need for more professional development to better understand the vital role they play and key industry trends and insights, in order to better guide and support students in their life choices. As I reflect of the past week’s events, it proved to be excellent preparation for my upcoming conference in Portland! I’m excited to be preparing to head off very early tomorrow to the CoSN Annual Conference and the Global Symposium on Learning 2030: Preparing Students for the 4th Industrial Revolution. I’m looking forward to exploring a partnership between CoSN and C21 Canada. 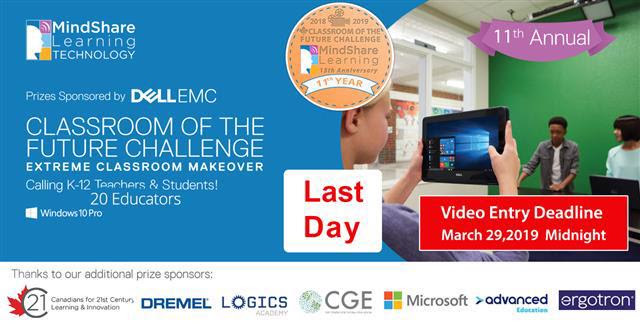 As this marks the final day to enter our Classroom of the Future Challenge. It’s not too later to enter as the deadline is midnight PST! Good luck to our entrants! And special thanks to our sponsors! We hope you enjoy this week’s edition of This Week in Canadian EdTech Top10! Thanks for inspiring us to raise the bar with every issue we publish! Don’t forget to send us your comments, news stories and upcoming events! 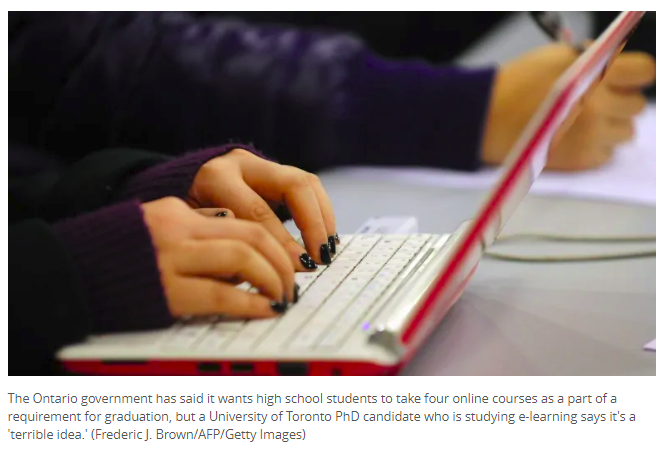 An Ontario government plan to make high school students take four courses online to graduate is a “terrible idea” because it will be very hard on students already struggling, says an e-learning expert.